Do You Want To Learn To Read Al-Quran? Join Us or give us a call: 9476 2653 / 6909 0292. Do You Want To Learn To Read Al-Quran ? Are You Facing Some Challenges In Reading Al-Quran ? We acknowledge the challenges faced by most people. 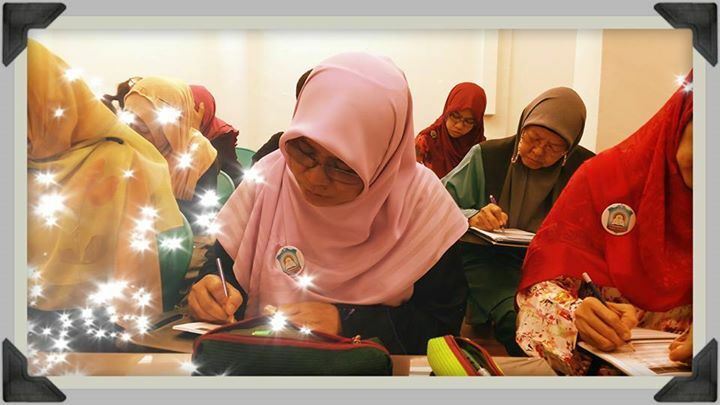 Our Al-Quran Reading Class is designed to tackle those challenges faced by you. Our classes are available on weekday nights 8pm-10pm, weekends 8am-10am, and 10:15am to 12:15pm and weekdays mornings 9am-11am. 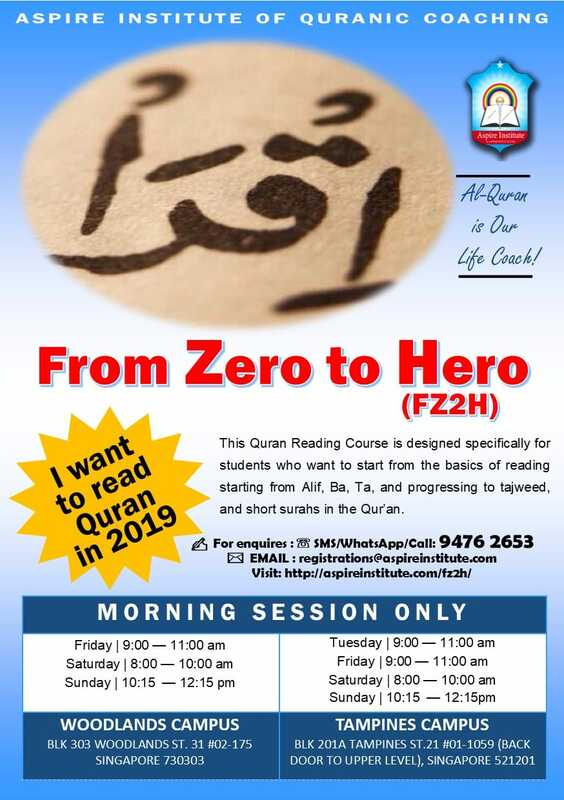 2- From Zero To Hero Plus: For those who wants to continue their lessons after finishing their From Zero To Hero program to focus on their Quran recitation and tajweed refinement. I Want To Read The Quran in 2019! Course Details: For students who want to start from the basics of reading (starting from Alif, Ba, Ta, and progressing to tajweed, and short surahs in the Qur’an. Last Updated: 12:59pm, 6 Mar 2019. I Want To improve My Quran Reading in 2018! Course Details: This course is open for those who already know how to read the Quran and also for our existing FZTH students who wish to continue after completing their current FZTH class. Payment of $15 registration fee doesn’t include first month fee and one time material fee of $50. Your seat will only be secured and your registration is confirmed once full payment has been made.